Routines are important to families, but may be difficult to establish with children who have special needs, especially children who experience behavioral challenges. In Practiced Routines, nationally recognized behavior expert Dr. Meme Hieneman teaches to create function-based strategies for improving family life using a positive behavior support framework. Dr. Hieneman is a board certified behavior analyst with a PhD in special education and more than 30 years experience working with children with behavioral challenges and their families. She has authored three books and numerous articles and chapters on positive behavior support. 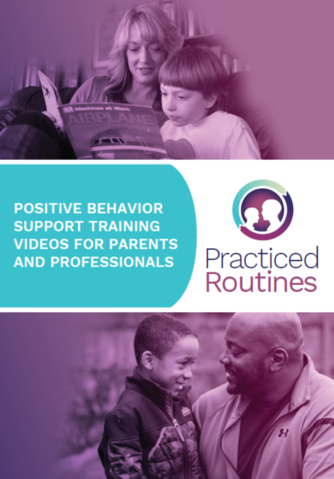 The information provided in these training resources is intended to help parents support their children’s behavior during typical routines by using proactive, educative, and reinforcement-based strategies. It is not intended to replace behavioral services. Parents are encouraged to enlist the support of qualified professionals (e.g., behavior analysts, early interventionists, educators), especially if their children’s behavior puts themselves or others at risk, is destructive, or significantly interferes with their progress. Professionals facilitating this training should have extensive experience working with children with disabilities and their families, knowledge of applied behavior analysis principles (specifically positive behavior support), and the clinical skills necessary to effectively facilitate parent engagement while maintaining confidentiality.